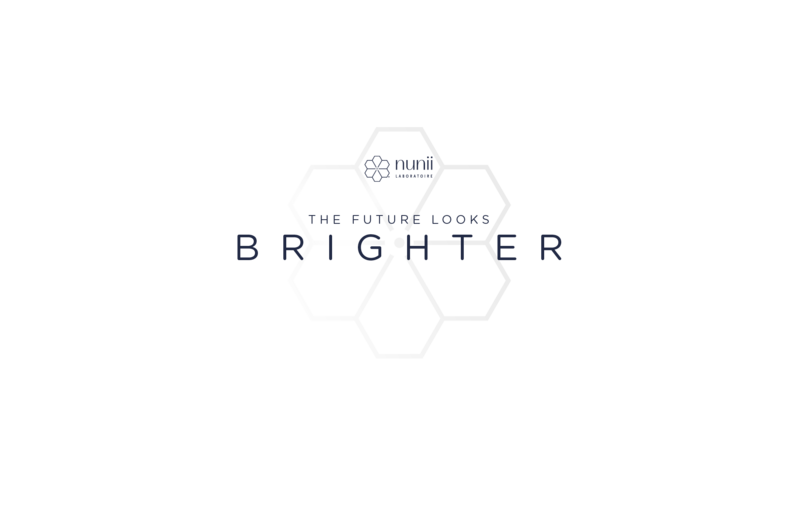 Our technological innovation. 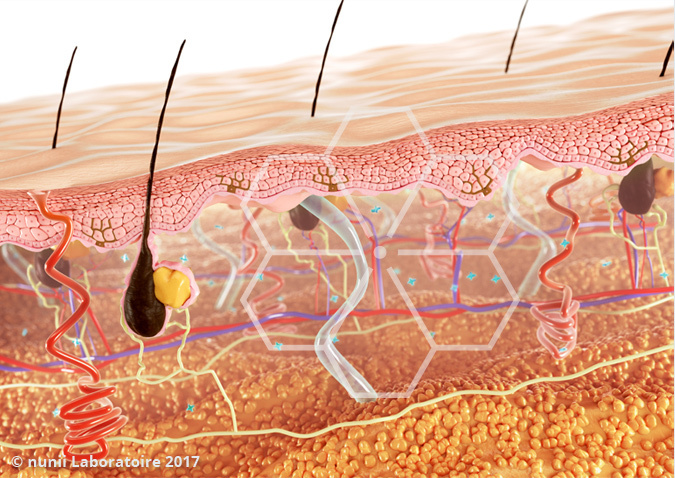 nunii Laboratoire has identified a unique complex of active ingredients to help down regulate the melanogenesis. This has enabled us to develop a safer and more effective depigmenting solution than others widely used on the market today. 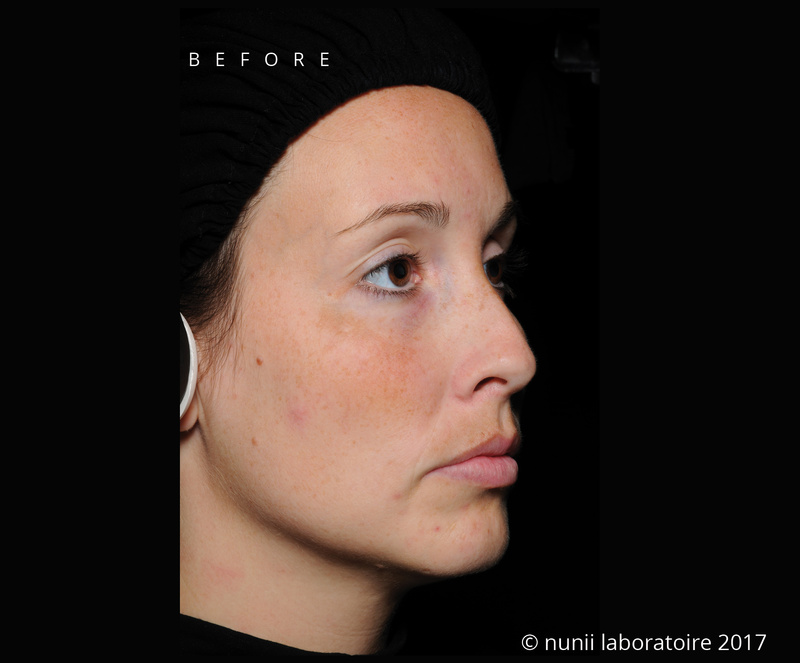 lentigo, melasma and dark spots. A unique expert system, that is clinically proven to help target and reduce lentigo, melasma and dark spots. 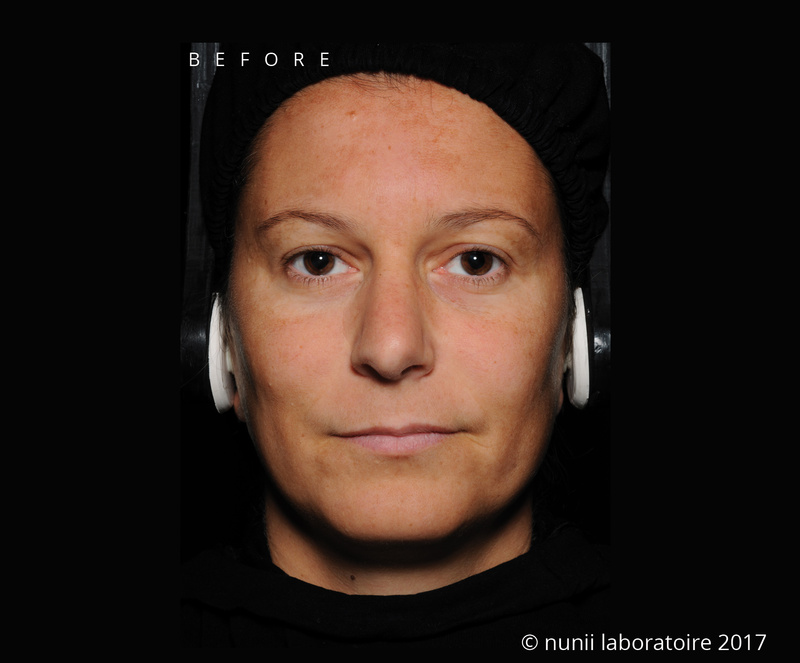 nunii Laboratoire collaborates with the team U1065 of the Mediterranean centre for molecular medicine under the responsibility of INSERM (The French National Institute of Health and Medical Research) and UNS (University of Nice Sophia Antipolis), in an ambitious fundamental research programme, on the mechanisms regulating melanogenesis, to bring true innovation to the aesthetic medicine market. 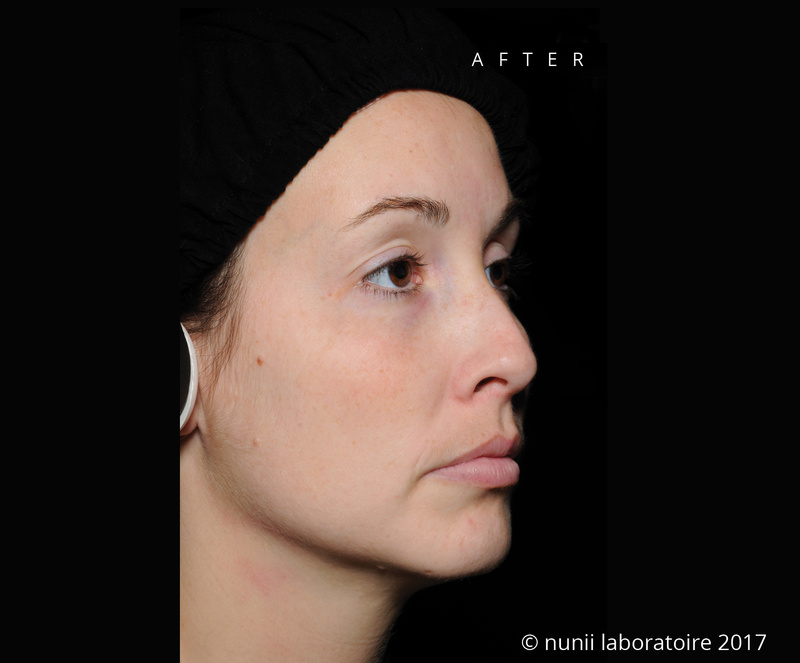 nunii laboratoire collaborates with France’s prestigious national academic medical research centres, in an ambitious fundamental research programme on the mechanisms behind the functioning of skin biology, to bring true innovation to the aesthetic medicine market. [uniq-white® SYSTEM] is specifically formulated to respect sensitive and treated skin by excluding known controversial and irritating ingredients. 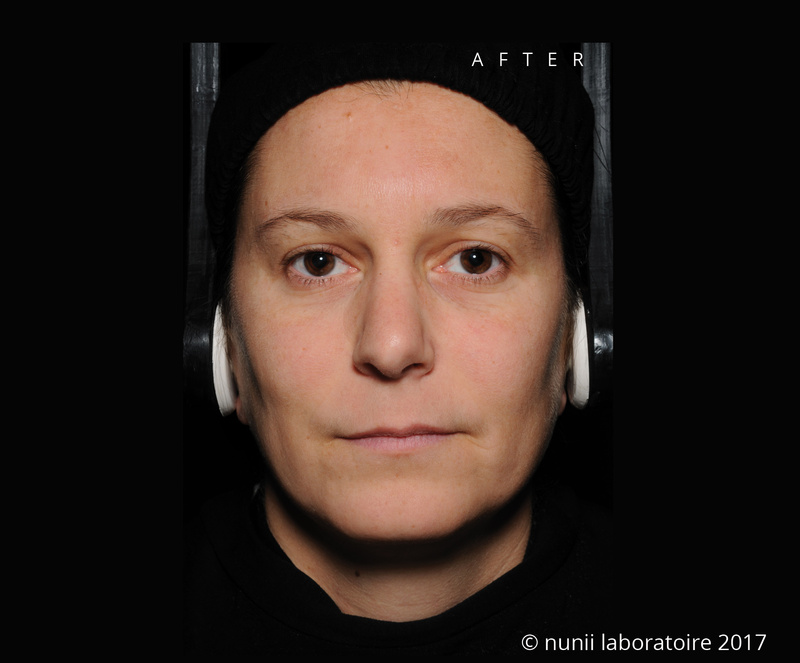 In-vivo study performed on 22 volunteers with melasma and lentigo for a period of 56 days. 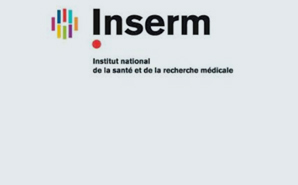 Conducted according to the good clinical practice GCP/ICH E6, by an independent French laboratory accredited by the ANSM (French Health Product and Safety Agency) to conduct clinical and biomedical studies. of women and men to have healthy beautiful skin. 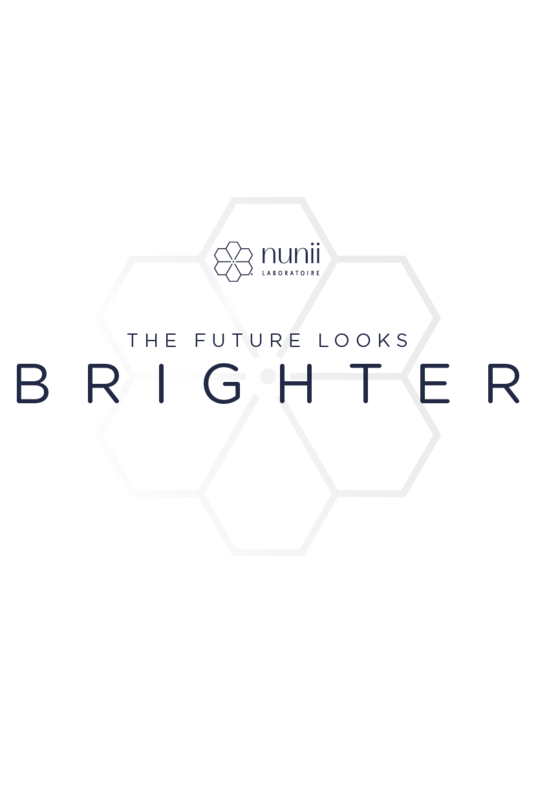 nunii Laboratoire french biomedical research Laboratory whose vision is to bring to the international aesthetic medicine market a portfolio of brands that anticipate and satisfy the desires and needs of women and men to have healthy beautiful skin.